May 26, 2017 (El Cajon) – Following a lively public hearing on drawing up city council district lines to comply with Voting Rights Act requirements aimed at increasing minority representation, El Cajon’s City council voted 3-2 to adopt Paul Circo’s map PCirco1 for council district elections. Councilman Ben Kalasho, a Chaldean-American and the only minority on the Council, earlier sent a letter threatening to sue his city if that map was approved and request public records to determine if gerrymandering laws or the Brown Act were violated. Mayor Bill Wells, Councilmen Gary Kendrick and Bob McClellan voted to approve the map drawn by Circo, a Republican who ran for Council in 2016. Councilmembers Steve Goble and Kalasho voted against it. The district election map chosen squares Kalasho off against fellow Councilman Kendrick, who also lives in Fletcher Hills, on the opposite side of Parkway Plaza. It also pairs Councilmembers Steve Goble and Bob McClellan, leaving two other districts that will be open seats. The Mayor will continue to be elected at-large by all voters in the city. The plan chosen creates three majority minority districts. Two have 70% minorities and a third has 51% . The minority definition used is broad, including language minorities such as Arabic speakers as well as all classes protected under state and federal Voting Rights Acts. July 16, 2015 (El Cajon ) – El Cajon’s City Council voted Tuesday to move forward on plans to build a Hampton Inn with upscale restaurants on the site of the former police station on Fletcher Parkway near North Magnolia Avenue. The action comes after last month’s approval to bring a Marriott Hotel to town. January 14, 2014 (El Cajon ) – After hearing testimony raising concerns over use of e-ciagrettes by children in public schools, El Cajon’s City Council unanimously asked staff to prepare a report on the hazards of inhaling or “vaping” nicotine, along with options for regulation both e-cigarettes and hookah smoking. A representative from Communities Against Substance Abuse (CASA) asked Council, “Can we really afford another generation of nicotine addiction?” The CASA representative said that “nicotine is more addictive than heroin.” He presented evidence that manufacturers of e-cigarettes with nicotine are targeting minors with flavors such as bubblegum and designs ranging from e-cigarettes with cartoon characters to models that masquerade as asthma inhalers, felt pens, or other common devices. November 6, 2013 (El Cajon)-- El Cajon City Councilmembers Bob McClellan and Tony Ambrose have released an official response to the resignation of former Mayor Mark Lewis on October 24, 2013. Both voiced pride in the community’s diversity , acknowledged that the Mayor’s remarks on minorities were “inappropriate and wrong,” then called for unity in El Cajon. For the full text of their letter, click here. In addition, Councilmember Gary Kendrick issued his own letter praising Mayor Lewis on his accomplishments including balanced budgets, economic stability and economic development. While he joined with Ambrose and McClellan in making clear that he did not agree with or support Lewis’ controversial comments, he stated, “Mark will always be my friend...” To read Kendrick’s letter, click here. October 22, 2013 (El Cajon ) – By a unanimous vote, El Cajon’s City Council today voted to enter into an exclusive negotiation agreement with Excel Hotel Group to develop a Marriott Courtyard hotel at the northeast corner of Magnolia Avenue and Rea Street in the Civic Center block. The proposal hinges on the state selling and to the city of El Cajon at the corner of Magnolia and Rea. The City would then sell the land to Marriott for a dollar and give up a portion of the transient occupancy tax (TOT) for a few years. At the end of ten years, the city expects to receive enough revenue from property taxes and TOT to repay the city the cost of the land. “It sweetens the pot for them to spend several million dollars,” Councilman Gary Kendrick told East County Magazine. He calls the deal a “win-win” for all parties. August 28, 2013 (El Cajon) – A century ago, one of the first actions of El Cajon’s City Council was to outlaw saloons due to concerns over negative influences of alcohol on the community. Those restrictions were later relaxed. But yesterday, Council once again voted to restrict sales of alcohol, over the objections of local merchants and the East County Chamber of Commerce. 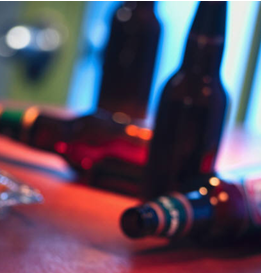 By a unanimous vote, Council approved the “deemed approved” ordinance aimed at curbing serial inebriates from purchasing single-serve alcoholic beverages at markets. June 25, 2012 (El Cajon) – Councilman Gary Kendrick’s proposal to legalize backyard chicken ownership will be back on the agenda at tomorrow’s El Cajon City Council meeting.